Sandy Sidhu grew up on an island along the coast of Vancouver, Canada. Her early performing ambitions began at the age 14 when she joined her high school's Musical Theatre productions landing several leading roles. Sandy spent her adolescence taking singing lessons, drawing, volunteering for charities and after school immersing herself in rehearsals. An honors student, Sandy enrolled at The University of British Columbia and received a degree in Cell Biology and Genetics. However, half way through her studies she found that her passion for acting was much stronger than her love of science and upon that realization immediately found an agent and began honing her craft. Sandy is trained in classical theater and improvisation, having moved to Los Angeles and studied at the famous Lee Strasberg Theatre and Film Institute. Truly inspired, she was tirelessly committed to her craft and spent her entire days at the institute living and breathing her training in order to deepen her work and broaden her discoveries. Past credits include a recurring role on Stargate Universe, starring in a warming short called Heart of Hearing opposite Breakaway’s Vinay Virmani, and guesting on Primeval: New World, landing the CBS pilot Intelligence starring Josh Holloway, and guesting on Arctic Air. With diversified looks and talent, she continues to book several commercials and print ads. Producing is a new and promising horizon for Sidhu, and within a year, has fully produced two short films and has a slate of features and TV shows in development. Sandy serves as the coordinator for Women In Film & Television Committee’s annual Pitch Sessions, a prominent workshop which brings together veteran industry executives with up and coming local directors/producers and writers. 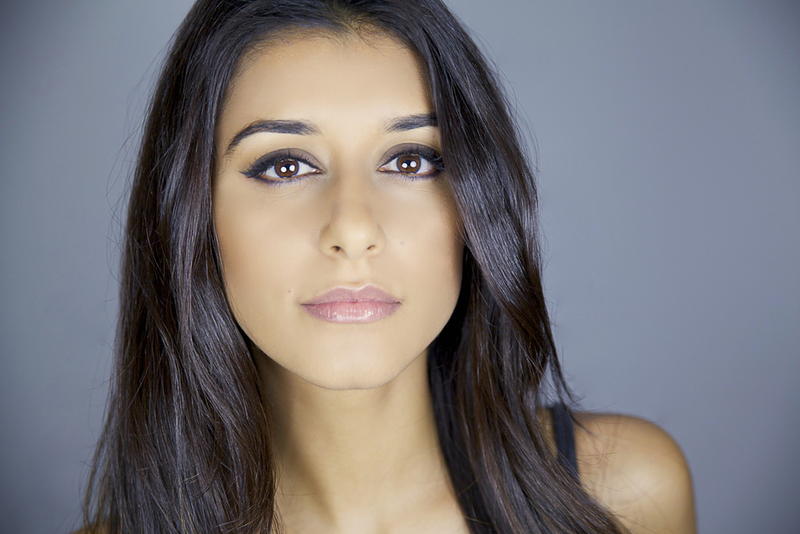 Sandy is a rising star and is regarded by many as the next up and coming South Asian actress to look out for.